Calling all motorheads! Silverstone Circuit has an adrenalin-filled calendar of activities lined up this summer and we are hugely fortunate that the Silverstone track is less than an hour’s drive from Rushton Hall. Head to Silverstone this July to experience the thrill of Formula 1™ like never before and witness the biggest single sporting event held in the UK. Don’t miss three times World Champion, Lewis Hamilton pushing for a 4th straight win at Silverstone! Silverstone Classic Weekend is the world’s biggest classic motor racing festival and provides spectacular historic motor racing on the world-famous circuit. Access the grandstands for free and see displays from over 100 car clubs featuring more than 10,000 classic cars. 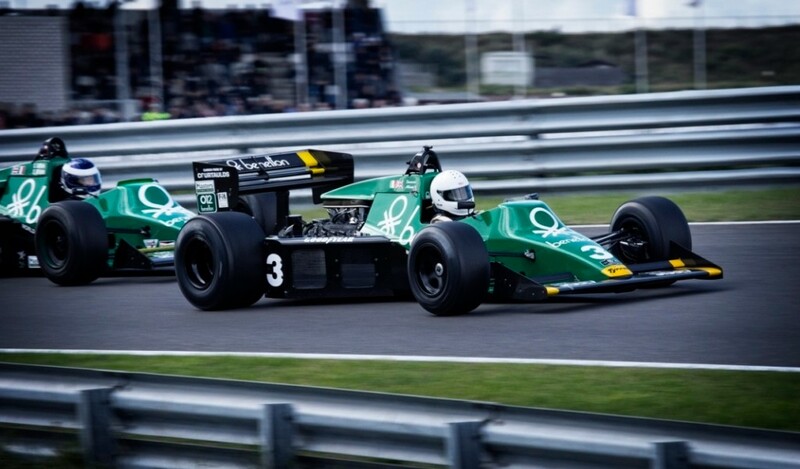 Whether you are a motoring fanatic or not, you will enjoy watching 1,000 classic cars taking part in more than 20 races on the famous circuit – the best historic Grand Prix, Le Mans prototypes, Sports, GT and Touring Cars across 80 years of racing. This year the British MotoGP™ moves to the August Bank Holiday weekend. The best riders in the world will be competing on the Silverstone Grand Prix Circuit to win the MotoGP™, Moto2™ and Moto3™ world titles. With an earlier summer date, spectacular racing and three entertainment-filled days taking place at Silverstone, it’s going to be a race weekend not to be missed. In 2017, the International GT Open will be running its 12th season, making it one of the top pro-am racing platforms in Europe. We have totally run out of excuses not to attend this fantastic event with it being one of the best platforms for Pro and Am GT racing in the world, a series of the highest level of performance for GT3 cars and the first series to adopt time handicap system to level performances, instead of complex and costly technical measures. To see some of the most dramatic motorsport in the world be sure to head to The MCE Insurance British Superbike Championship (BSB) this year. This event continues to assert itself as the greatest domestic bike series in the world, and a producer of some of the sport’s hottest properties. The MSA British Touring Car Championship is famed for its close, dramatic racing with riders speeding around the Silverstone Circuit at an average of 180bhp and often reaching 200mph! If you are still looking for somewhere to stay during these events this summer, our Kettering hotel is less than an hour’s drive from the Silverstone track and is the perfect place to feel at home and relaxed after a busy day. Book direct for our best guaranteed rate!